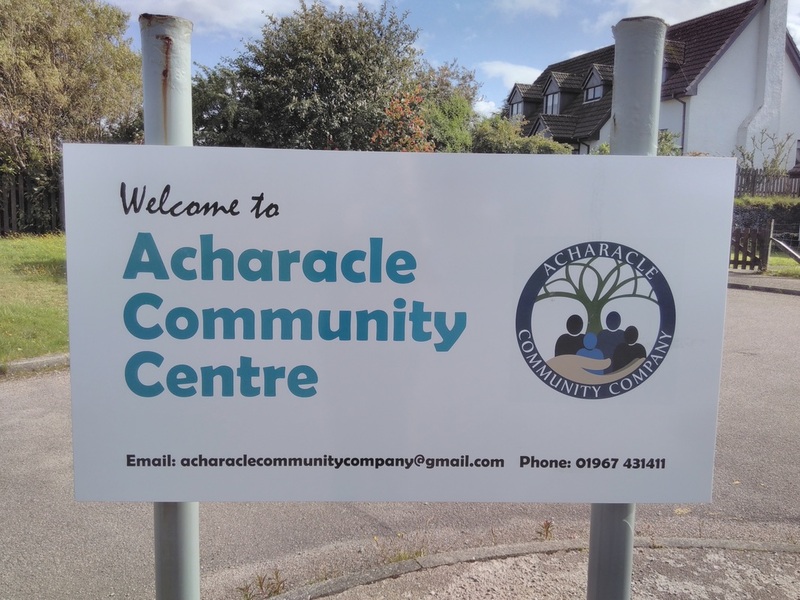 The Community Company works out of the Acharacle Community Centre located in the heart of Acharacle. We have various rooms available at the centre for you to hire. The one in the photo on the left is the 'Roshven' Room, where lunch club meets 3 times a week, but outwith those times it is free for others to use. It is carpeted with seating around tables, more comfy seating, a very large tv, sink, darts board, drop down screen. All seating can be moved around to suit your use. There are curtains and dimmable lights to make the room ideal for showing photos etc. The room in the photo on the right is 'Resipole ' room which is a large multi-functional space. Again furniture can be moved to suit the activity you want to use it for. There are double doors which open out onto a hard surfaced traffic free space. The smallest room in the building is where any member of the public, resident and passer by, can come and use a PC and access the internet (pictured with a desk and printer). Donations are welcome for use of the internet. The other room pictured is 'Shiel' which is a smaller cosy room which is ideal to rent for small meetings or health and healing sessions. It even has a specifically designed hair washing sink (used by our regular barber!). We now have a small Reuse Shop at the centre which is open whenever the centre is manned. Typically this is 10-3 Monday to Friday.